I had to repeat the phrase in my head several times before it sunk in. The head of a big Munich-based publishing company had just offered me a book deal after having been an avid follower of our blog and podcast. According to him, the time was right for a printed version of our concept. I felt really honored and at the same time pretty overwhelmed. After a couple weeks, I hit a roadblock working on my outline for the book. I had talked to tons of people and I was looking for an author who had successfully published a book, ideally in the same area of self-improvement or self-development. Thankfully, I was introduced to my Dutch Biohacking colleague Kasper van der Meulen. Before our first conversation, I had somewhat heard about his feats but in the end, I had no idea how good he really was. Kasper van der Meulen is not only a bestselling author, but also a an acclaimed storyteller, frequent speaker at events, Head Teacher of the Wim Hof Academy and a true human performance expert. However, Kasper’s journey to success was paved with a difficult time in his life. He chronically underachieved for several years and was struggling with attention deficit and performance anxiety. Only after he took responsibility for himself and experimented with new methods to improve his shortcomings, he was able to turn his life around. 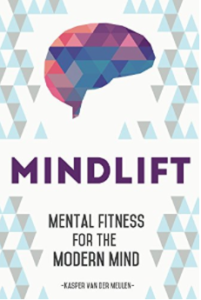 His book Mindlift is based on his experiences with self-experimentation and h acking his body and mind. Since he wanted to prove to himself that his methods worked, Kasper wrote the entire book within a timeframe of only 30 days. In order to follow through, he applied a unique set of productivity hacks, which he developed for himself. In this episode of the Flowgrade Show, Kasper reveals his methods and techniques for more productivity and focus, some of which he has never shared before. You will learn about how Kasper uses the Pomodoro technique, why he grinds his coffee while walking barefoot, why he thinks about death at the end of each day and how you can alter you environment in order to become more productive. Everything in your life is your responsibility. But there is a great difference between fault and responsibility. No matter where you find yourself in life, it’s your responsibility to do something about it. Focus is the bundling of scattered attention. There is a difference between important and urgent. The only place people are reluctant to do this is an office where you are expected to sit and work behind a computer for 8 hours a day. If that’s your situation you should find a different situation. If you have stupid emails to answer that you don’t want to spend a lot of time on, go outside when it’s cold just in your shirt and laptop. Movement was key to getting the book done. Maybe distraction is something your brain needs to function. Before I go to sleep, I ask myself the following question. If I would never wake up, would I have lived a fulfilling life? And I find a way to answer that with yes every time. You need difficult stuff. If you just do easy stuff, life will be very hard. 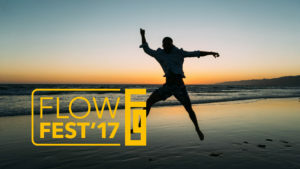 Get to know Kasper in person at FlowFest on July 8 in Berlin! Kasper van der Meulen is one of the gems of our speaker lineup for our first Biohacking Conference in Germany! At FlowFest at the Adidas Runbase in Berlin, Kasper will talk about his productivity hacks, the difference between attention and focus and why he is such a fan of the Wim Hof breathing technique. In an additional workshop, Kasper will teach you, how you can apply the Wim Hof breathing method for yourself! Tickets are limited and will sell out! Therefore get your ticket now as long as they are available!